How cool does this penguin look wearing his big green glasses and woolly hat? A cute and colourful Christmas card for kids; great for your son, daughter, nephew, niece or any young family member. The design features a fun penguin character set against a Christmas tree patterned red background, with the text ‘Merry Christmas’. The card is available in A5 size and also A6 size and is blank inside for your own special message. The A5 card (only) can be personalised, you can add any name / relative name at the top of the card. 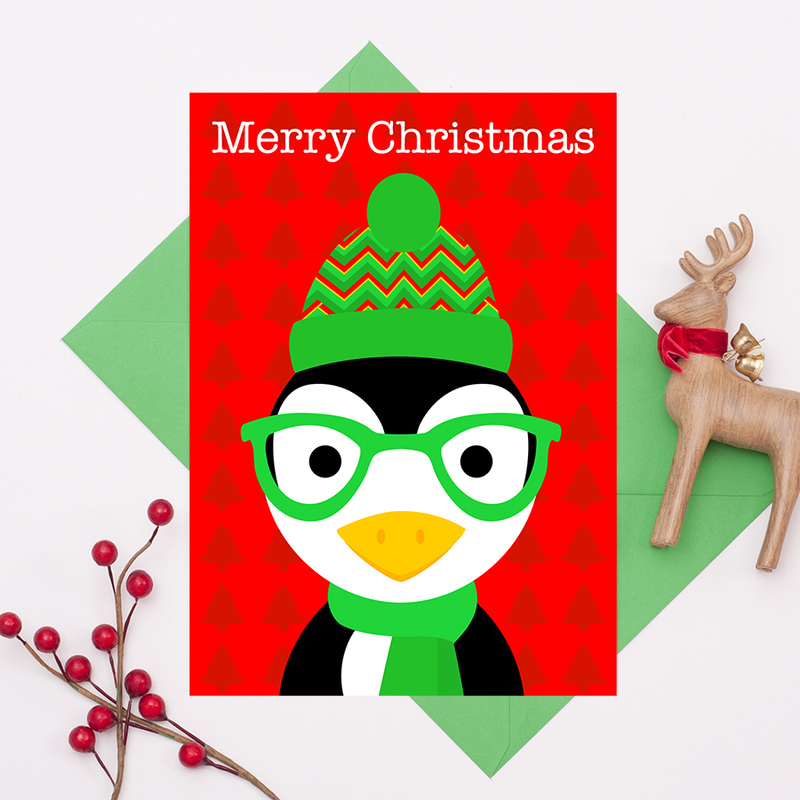 Be the first to review “Penguin Christmas Card” Click here to cancel reply.